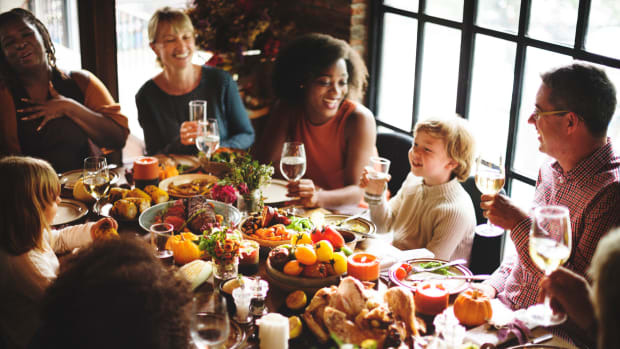 While Thanksgiving is a time to get together with family and share a bountiful meal, it can also be a time of bountiful food waste if you’re not careful. 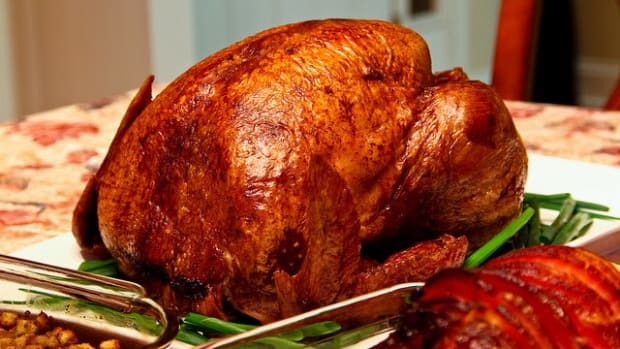 Across the country, about 204 million pounds of turkey meat will get thrown away over Thanksgiving, according to the Natural Resource Defense Council. Taking steps to reduce this is a critical way of making sure that we keep the holiday’s true meaning alive, so with that in mind, we&apos;ve rounded up five great ways to make sure your Thanksgiving leftovers don&apos;t go to waste. 1. Be sure to put Thanksgiving leftovers away properly. Yeah, we know, the last thing you want to do after making – and consuming ! 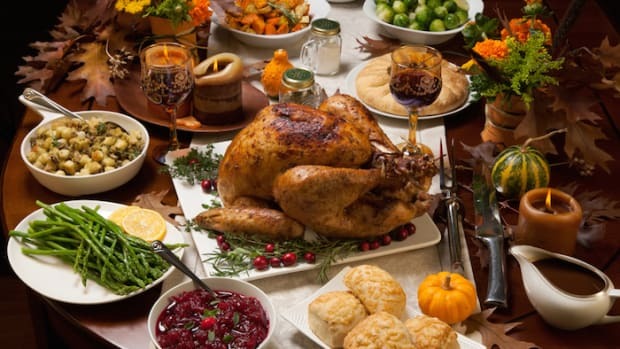 – a massive Thanksgiving feast is the massive pile of dishes, but putting the food away can be the key to reducing food waste. Put the remnants of each individual dish in a separate container to avoid cross-contamination, and get everything into the fridge as quickly as possible. As for the turkey, it’s best to finish carving it and empty the cavity of any remaining stuffing before putting it away. 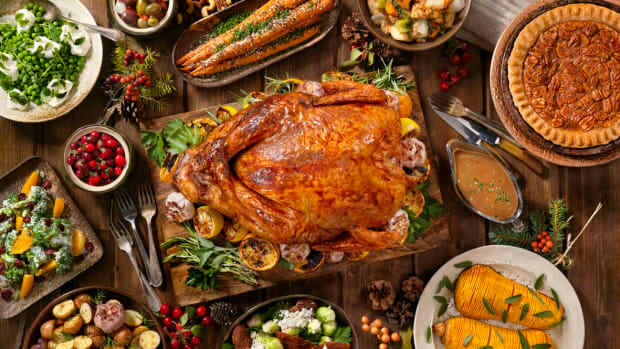 Store the stuffing and carved turkey in separate containers, and break the carcass into pieces so that you can fit it in a plastic bag or large container so that you can use the bones for stock. This might seem like a lot of work, but you don’t need to do it alone. Get your guests to lend a hand, and before long, everything will be put away and you can get back to digesting in a quasi-horizontal position. 2. 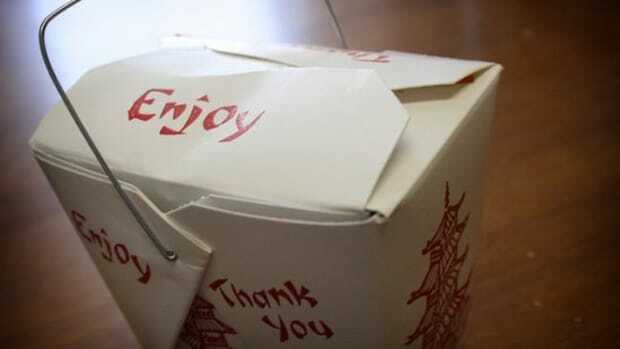 Send people home with doggie bags. You don&apos;t need to attempt to eat all of those leftovers yourself, either. Send people home with their lunch for the next day, and your fridge will be cleaned out in no time. 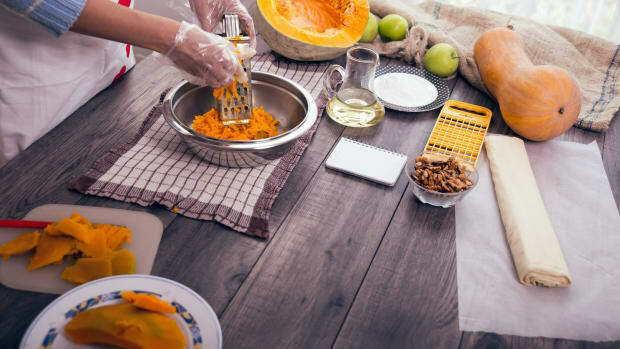 “Tell your guests to bring containers or be sure you have ample supply on hand so that everyone can leave with a bit of the feast for the next day,” suggests Dana Gunders, Senior Scientist at the NRDC. 3. Don’t forget the freezer. If your fridge is full and you&apos;ve foisted as many leftover rolls on your guests as you can, try freezing some of your Thanksgiving leftovers. While you can freeze a variety of dishes, especially casseroles like sweet potatoes, we particularly like to do this with roasted turkey bones. While you might not be in the mood to make a long-simmering dish right after the big day, those bones are full of goodness and will make a delicious stock, someday. Stick them in a plastic bag and throw them in the freezer so that you can pull the out in a few weeks and make a tasty bone broth. 4. Get creative with your leftovers. 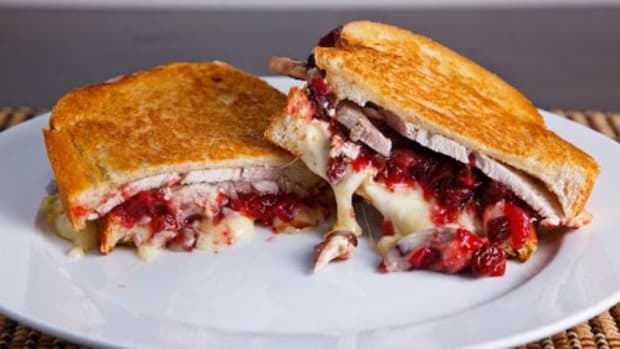 While it’s easy to throw together a turkey sandwich, Summers has a few more creative ideas. First, she recommends trying to think of different leftover dishes as being elements of a different part of the meal -- or a different meal entirely. Certain leftovers can be transitioned into breakfast or even dessert foods if you get creative enough. 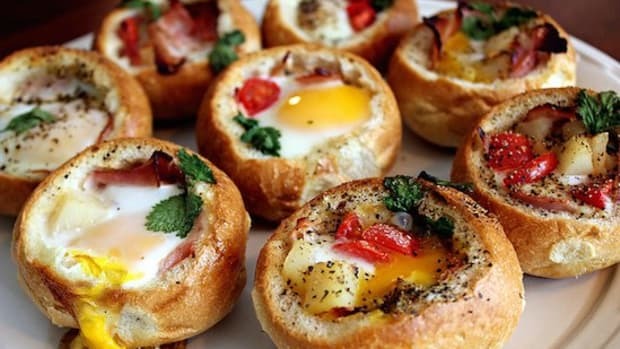 For example, Summers created a delicious recipe for baked eggs in a stuffing nest. 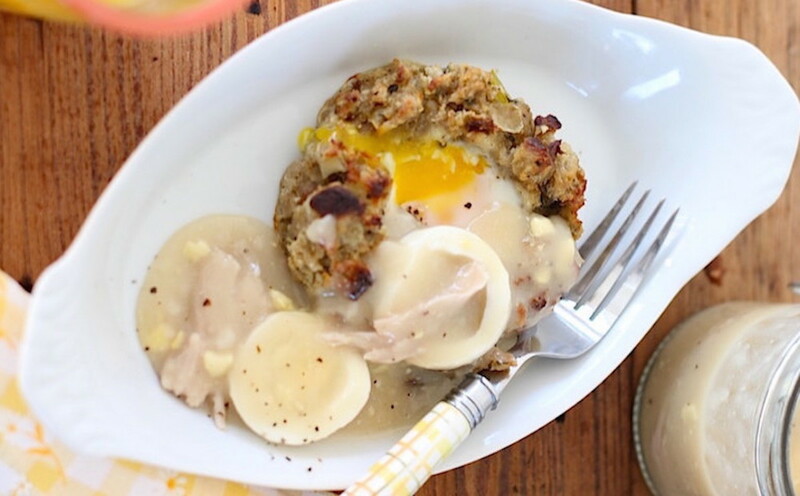 This dish is an intriguing brunch idea that helps you use up extra stuffing, often one of the most plentiful leftover foods. 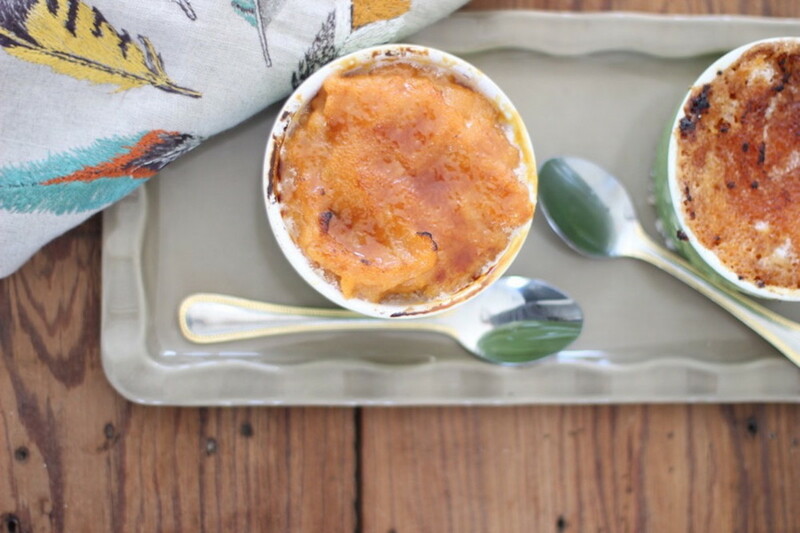 She also turned leftover sweet potato casserole into yummy crème brûlées, for a gourmet dessert you can enjoy after the festivities are over. 5. Use up your scraps too. At the end of the marathon cooking session that is Thanksgiving, you often end up with some wrinkled herbs, half of an onion, celery tops, ends of bread, and tons of other scraps, odds, and ends. As tempting as it might be, don&apos;t throw these scraps away -- there&apos;s still lots of goodness inside. The NRDC&apos;s Save the Food Campaign has come up with some great recipes to use up these Thanksgiving leftovers, like these scraps falafel which contain leftover mashed potatoes as well as herb and aromatic bits and pieces. You could also save up all of your odds and ends and freeze them with the turkey bones. That way when you make your bone broth, you&apos;ll add more flavor as well. Did we miss any of your favorite tips for using up Thanksgiving leftovers? Share them with us on Facebook or Twitter!